Masayuki Nagase and Michele Ku’s design for this mosaic mural is based on the abstracted forms of the live oak tree. 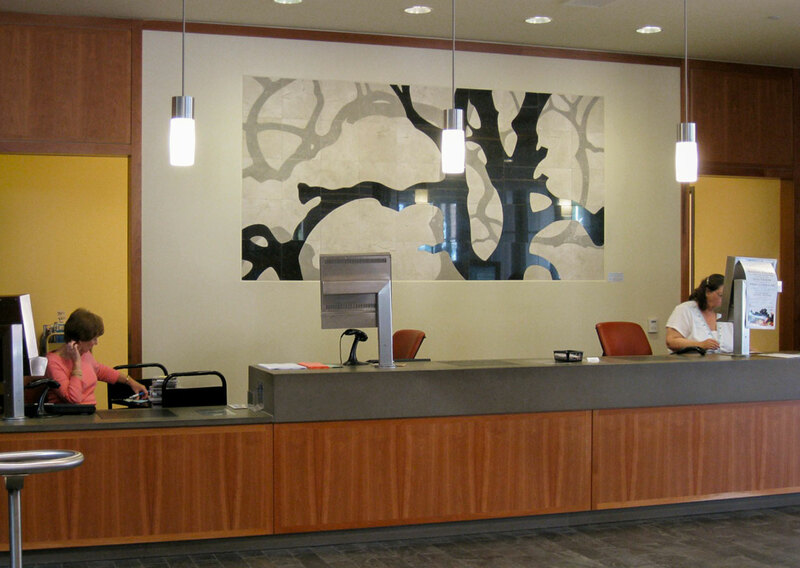 It is the main focal visual point of the lobby, placed behind the circulation desk. Since the Alameda Free Library is a crucial community center, they felt the symbol of the tree was an appropriate image. They visualized how the significant marker of the tree in history created a learning space where the community would exchange knowledge and wisdom. 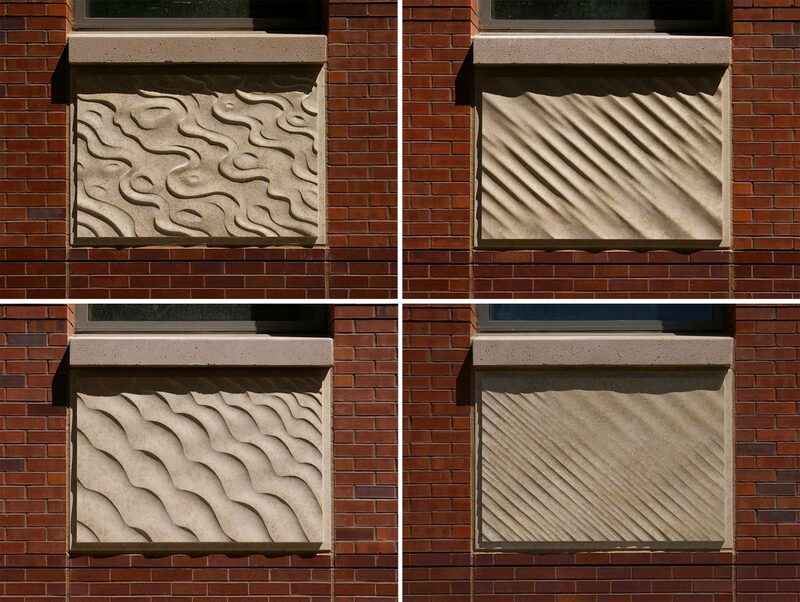 The architecture firm designed the façade of this library with 8 designated areas for a medallion design detail. 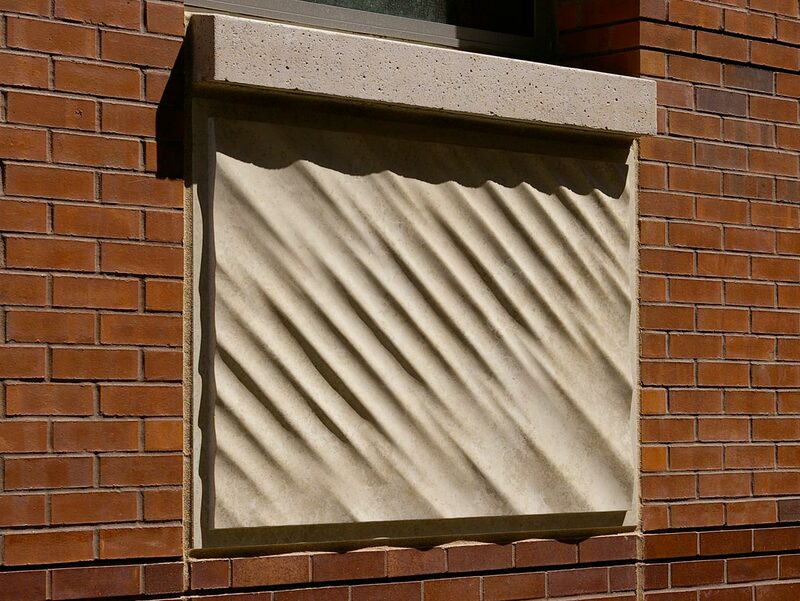 Masayuki Nagase carved a series of reliefs with varying patterns that express the changing light and form of waves. 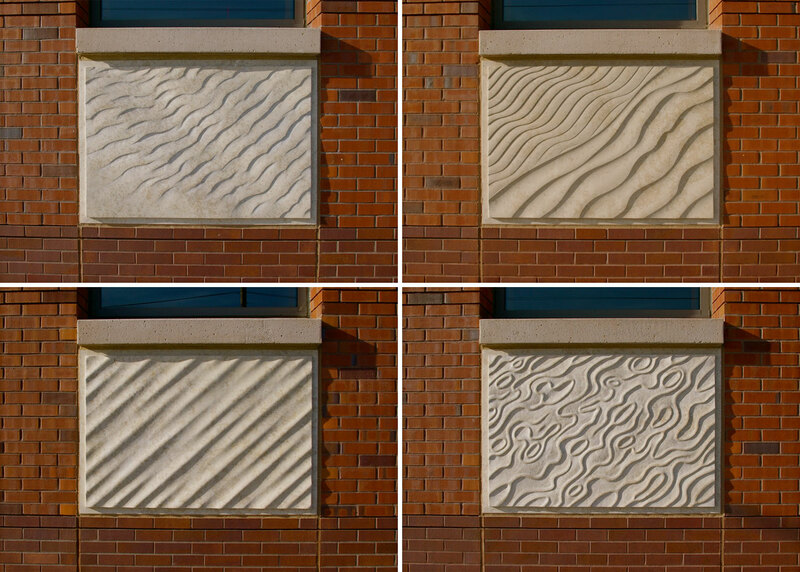 Each relief has a unique pattern and a rhythm like the variation of music. 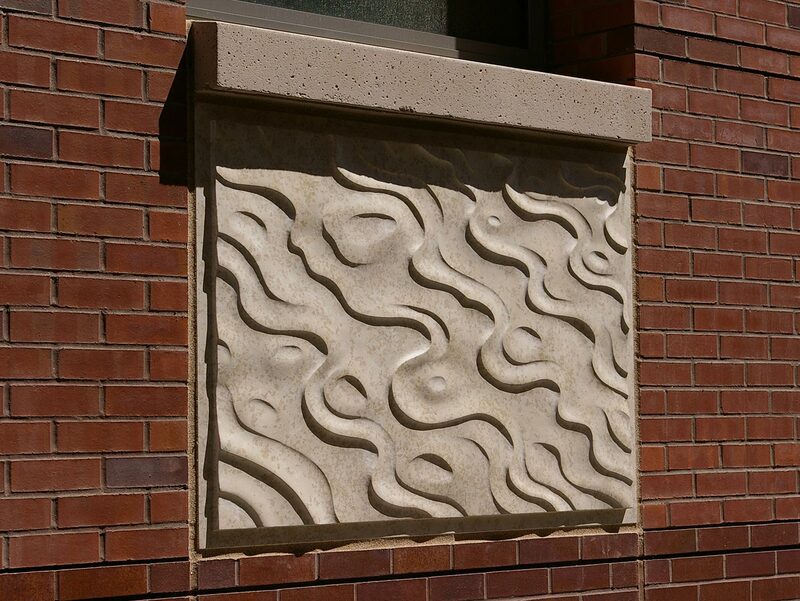 They become a subtle feature in the architecture, bringing the viewer’s attention and awareness back to nature.